The Pattigift Newsletter is filled with information and articles on African centred psychology and the work that we do in the community. Just fill out the form below to subscribe to our list. 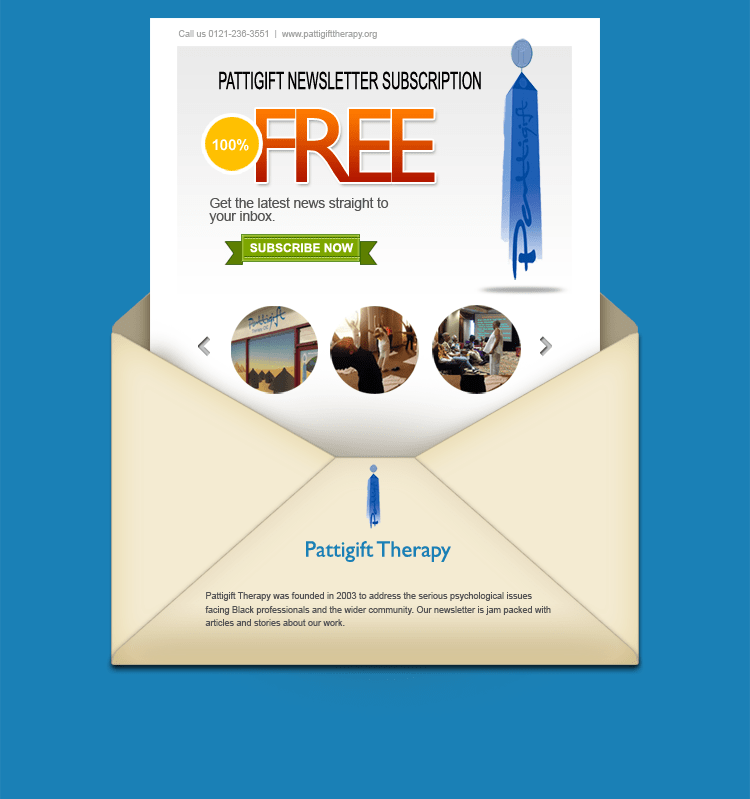 You will receive regular newsletters and can un-subscribe at any time you like. (Not that you will want to once you see what we have in store for you! ).